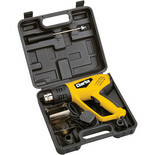 Easy-to-use tool with many uses; perfect for drying and stripping paint or varnish. 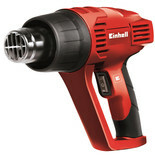 Gives instantaneous heat & insulated nozzle provides cool exterior temperature. 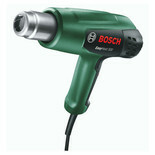 Variable heat control 50°C - 630°C; ideal for applications where fixed temperatures are required. 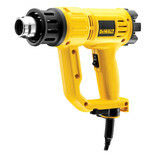 Adjustable airflow speed enhances the versatility even further. 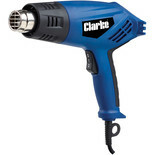 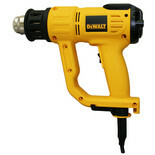 This hot air gun is ideal for stripping paint, bending plastic pipes and a multitude of other uses. 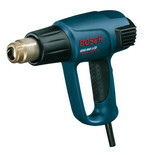 This hot air gun is ideal for stripping paint, bending plastic pipes and a multitude of other uses and is completed with a reliable manufacture from Bosch. 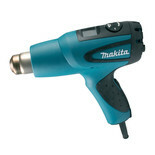 This versatile heat gun creates a jet of very hot air to soften adhesives to remove paint and varnises or dry wet paint. 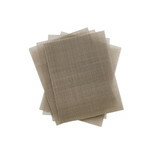 Pack of ten stainless steel mesh gauze, manufactured to be used with the Power-Tec PRS20 Plastic Repair System. 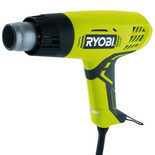 Essential item for the PRS20.